Reconstruction of the Betuweroute freight line, part of arguably Europe’s most vital TEN-T Network Corridor, is finally underway. Around 1.5 billion Euros is being invested in the 73 kilometre-long track between Oberhausen and Emmerich in Germany, opening up vast new freight opportunities between the North Sea ports and European hinterland. 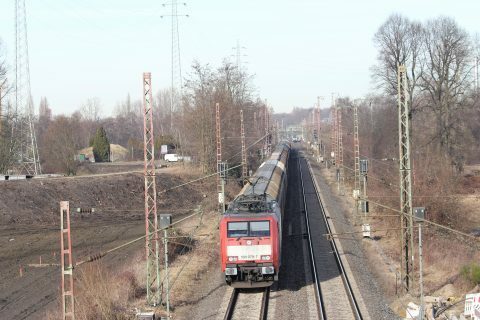 One of the most important rail infrastructure projects in Germany, the project is centred on a three-track expansion of the route which, after completion, will significantly streamline cross-border traffic between Germany and The Netherlands. The official launch took place at the Rothofstraße Oberhausen, where DB Netz AG is building a new viaduct. The Betuweroute is part of the Rhine-Alpine Network Corridor, one of Europe’s busiest freight routes. 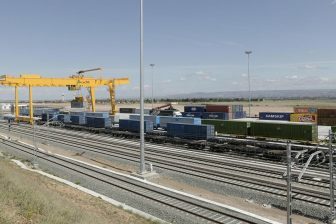 It connects the ports of Rotterdam and Antwerp to Genoa, via Switzerland and some of the major economic centres in the Rhein-Ruhr & Rhein-Main-Neckar regions. No fewer than 47 bridges and viaducts will be built or reconstructed during the course of the work. 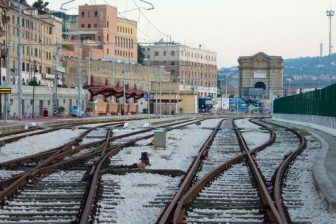 There will also be major work carried out not only to soundproof walls along the entire route, but also windows for residents living near the route. 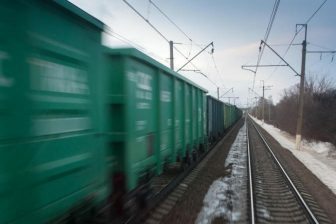 The line accounts for around 70 per cent of all freight services between The Netherlands and Germany, and shares space with passenger services, which take priority. The addition of the extra rail will ensure the two can operate independently, free up extra capacity and reduce the potential for bottlenecks at the border. Improvements to the section between Zevenaar on the Dutch side and Oberhausen will mean a potential 30 per cent increase in freight services, resulting in up to 160 trains a day. Pawel Wojciechowski, European Coordinator of the Rhine-Alpine Corridor, emphasised that the European TEN-T corridors would help bring about the shift of freight from road to rail: “This shift will contribute to our sustainable mobility – bottlenecks occur at the borders. If you remove the bottlenecks then you will have the highest European value,” he said. The Rhine-Alpine Corridor Executive Board meanwhile recently confirmed the addition of the Dutch port of Vlissingen to the Corridor, via upgraded lines and the addition of two new line sections. Capacity on these sections will be published for the 2018 timetable.